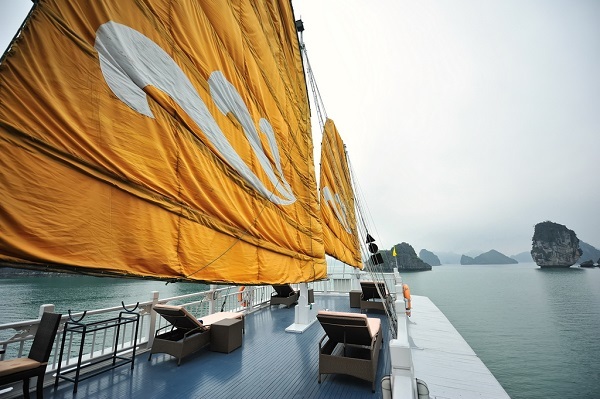 Visiting the most famous Vietnamese World Heritage Site with Paradise Cruise, launched in 2008, is bound to be one of the highlights of your travel itinerary in Vietnam. 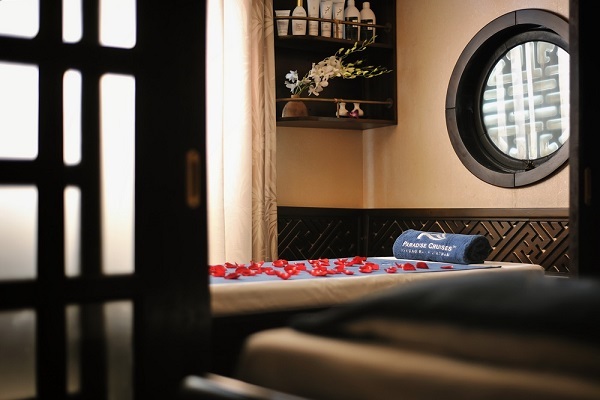 Paradise Cruises – “Heaven on Earth” owns 17 large, luxurious, and most trendy cabins with private balconies, spa area for massages and sauna, large restaurant filled with colorful light and perfect bar. 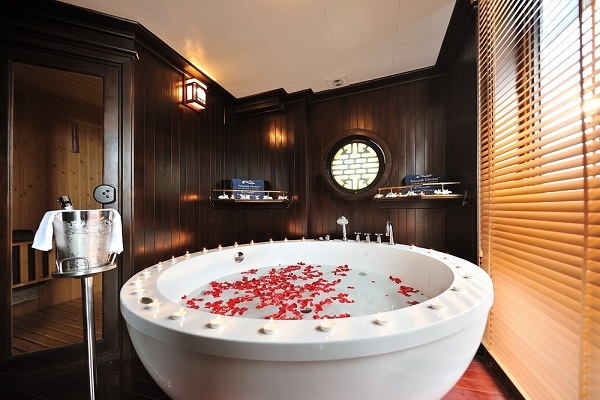 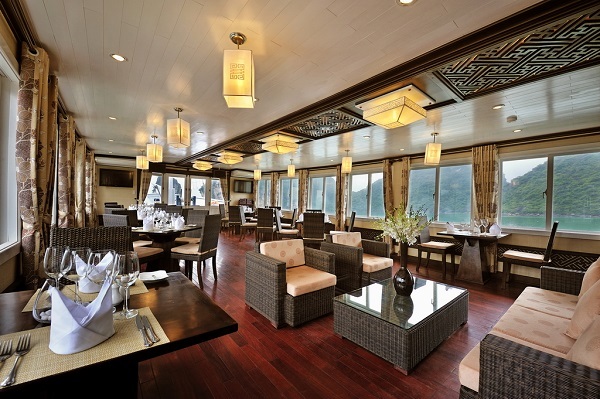 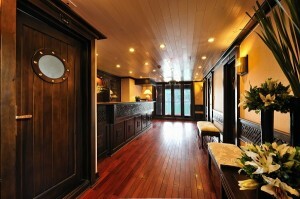 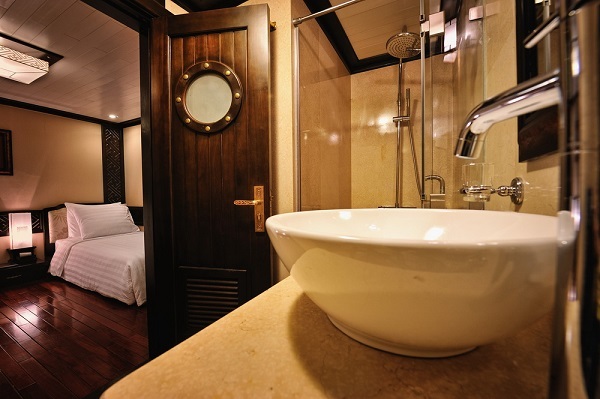 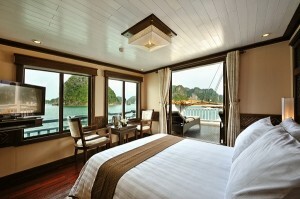 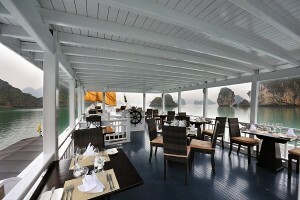 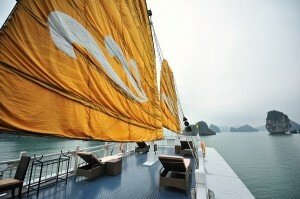 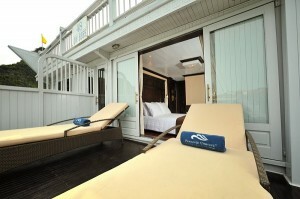 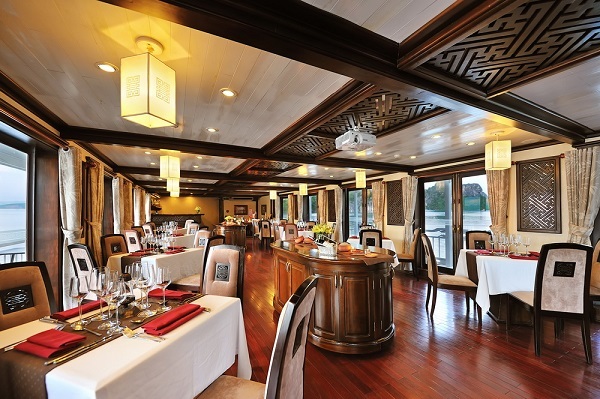 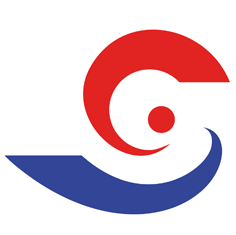 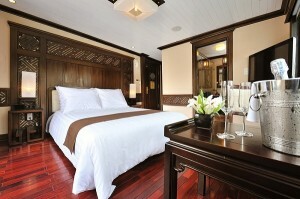 At night, the cruise likes a 5-star hotel on water in Halong Bay. 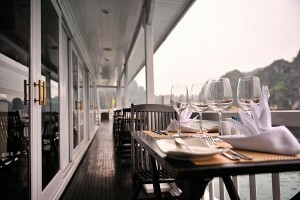 It is uniquely designed with the best natural materials: precious wood, silk, linen, taffeta, marble, porcelain, glass-ware and silverware. 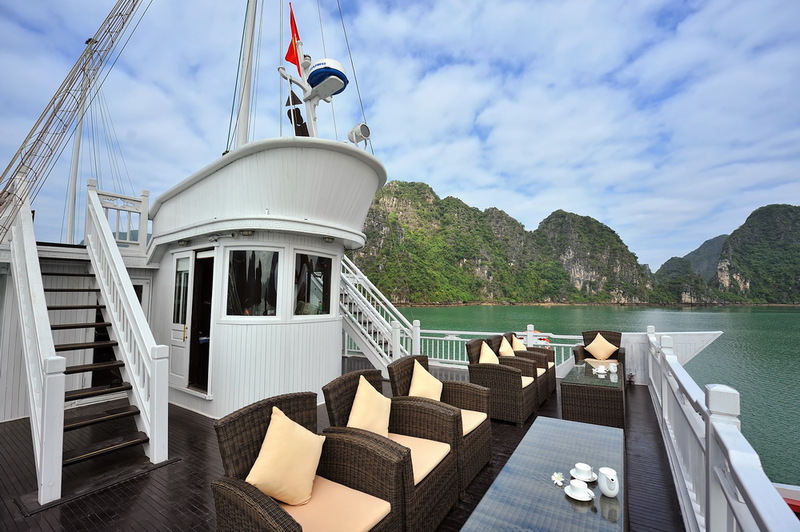 Halong Paradise Cruise is committed to grant youa genuine yet prestigious experience: a Paradise cruising experience in Halong Bay. 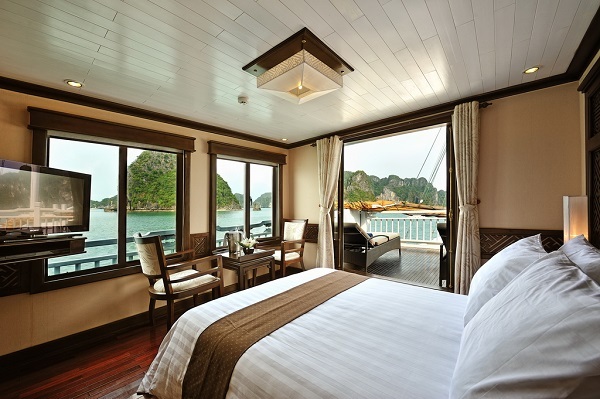 •Cruising on a luxury Halong bay cruise and complimentary kayaking Halong Bay, whilst enjoying superb cuisine, spa facilities and service. 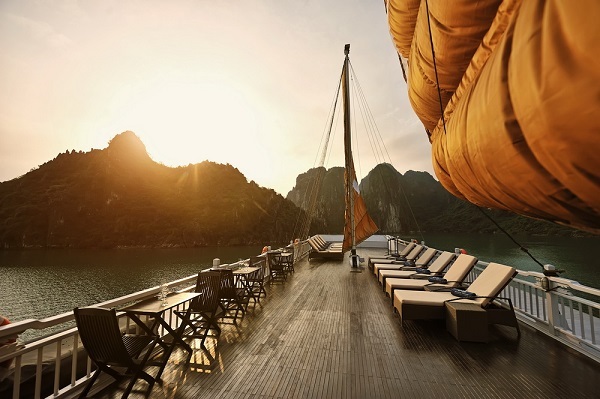 • Enjoying a morning Tai Chi lesson. 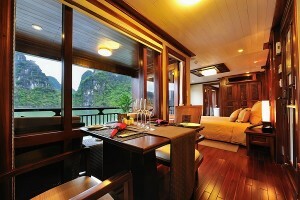 The FOC rate for children under 4 years old is applicable for 1 (one) child sharing a cabin with 2 (two)adults.